There are no “world music” albums, which means such records can’t be reviewed here. This album is also no more representative of Pakistani music than anything else coming from that country’s massive collection of folk, pop, and other hybrids. Nor is it an example of some sort of folk relic, to be listened to with an understanding only of the past, which somehow needs to be preserved just because it’s old. 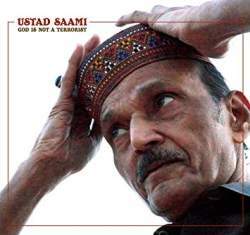 What Ustad Saami and his music represent are an ongoing conversation about gharana mastery, or lineage that, in Saami’s case, goes back to the 13th century. Yet, since gharanas of different disciples and time periods have been free to emphasize some aspects of music and dance over others, what Saami plays is well-rooted but forever present. Like Appalachian ballad singers, the experimental ululations of Gedalia Tezates, or Vietnamese Catru performances in temples in Hanoi, Saami’s music concerns itself with the one note that links his voice to everything around it, giving space for something all-encompassing and eternal. Because of this, Ian Brennan’s latest production exists for the benefit of westerners who might have assumed Pakistani vocal music started and ended with qawwali master Nusrat Fateh Ali Khan. So, while this record is 46 or so minutes of one incredibly specific musical blip by one interpreter, it can’t help but take on a power in the west, where Glitterbeat’s releases tend to find themselves. 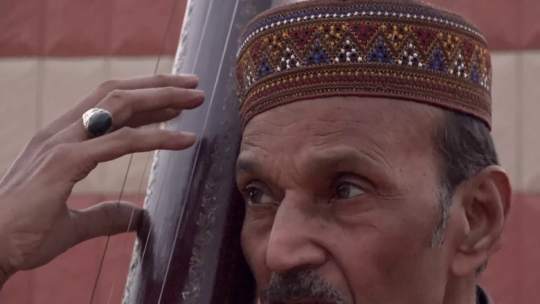 Because Saami travels through his music’s accompanying drones, provided here by harmonium and tambura, and occasionally with the help of other vocalists, he often sounds as if his voice is coming up from inside the music. Nowhere is this better shown than on the album’s centerpiece, the nearly-19 minute “Longing.” Here, over a wavering drone, he weaves and bobs, moans unhurriedly, and begins and ends vocal phrases as if he’s gliding. As much as any other performance ever recorded commercially, this is a song demanding surrender, rewarding beyond its playback time. The same can be said of the mere 10-minutes of bliss and envelopment that is “Twilight.” A listener may wonder why these tunes ever had to end.